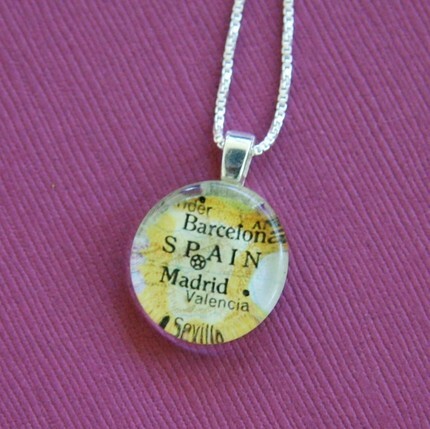 A gorgeous gift for you Spain lovers! And yes I am thinking of you @GazpachoGirl! Are you well traveled as is this lovely handmade memento? Created from gorgeous vintage world atlases, circa 1900-1950’s. Darn – there is only one with Madrid – but the artist has many other destinations!